Suzanne Anker: Genetic Seed Bank, 2007. Inkjet print on watercolor paper, 24 x 36″ each. Artists: Suzanne Anker, Paulo Bastos, Andy Gracie, Marta de Menezes, Herwig Turk, and Perdita Phillips. The I3S marks an exciting collaboration between Institute for Molecular and Cell Biology / Institute for Investigation and Innovation in Health (IBMC/i3S) and Faculty of Arts and Humanities (FLUP), University of Porto. The collaborating research venue is interested in how scientific medicine is currently visually and conceptually expressed and how creative visual arts – led research can challenge and enhance public access to the understanding of the broader convergent scientific enterprise undertaken within the new institute. Brain coral, so aptly named for its corresponding patterned convolutions to brain tissue, is an indication of how nature can expand connections between cells in limited space. Brain coral is in the family of corals called Mussidae which can live up to 900 years. 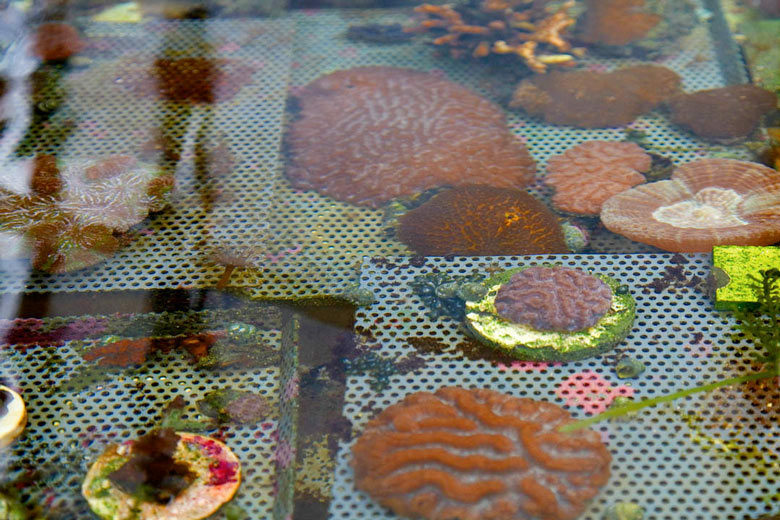 As stationary carnivores, brain corals catch their preyby filtering the water that flows past them. Like the brain itself, it is activated by passing options in a world of flux. 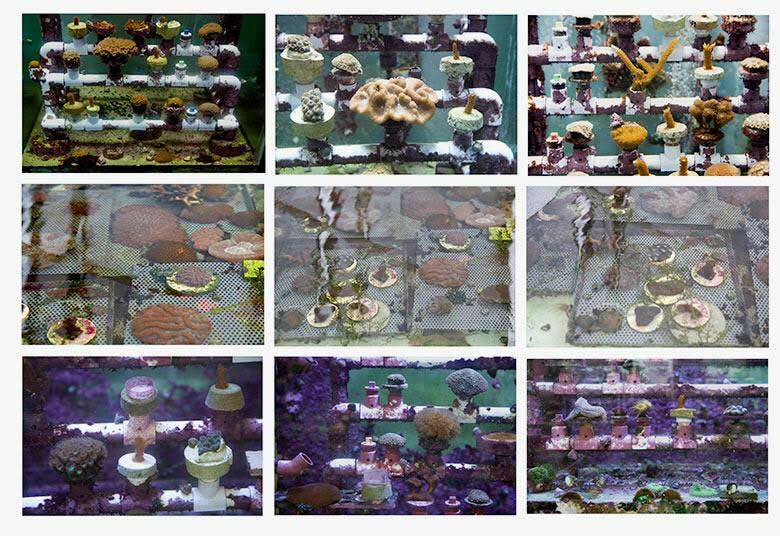 These images were taken on a visit to a coral reclamation laboratory in Florida, where specimens are decoded for their genetic configurations, and then grown under laboratory conditions before they are relocated into the wild. Coral reefs are under severe danger of being wiped out. Like disappearing thoughts in the human brain, particularly under the guise of brain disease, brain coral is also under the threat of becoming rubble. Opening Ceremony: May 25, 2016.